Here is a comprehensive list of the items monitored on each Mac–additional monitoring items are added routinely. More often than not, what defines a server is the software that runs on it. 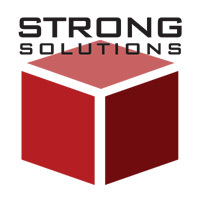 StrongCare Monitoring checks on that software to make sure it’s operating correctly and will report critical information such as availability, utilization, license expirations, proper backup functionality, and more. It’s never a matter of “if” your hard drive will fail, but “when”. That’s why it’s so important that you not only backup but regularly check if that the backup is being completed successfully. Luckily, with StrongCare Monitoring, we do all the checking so you don’t have to. We will alert you if we see the backups not being performed as expected. Running low on disk space can happen suddenly and when it does, it has real potential to corrupt a system and cause data loss. StrongCare Monitoring can alert you well before that ever happens. We’ll also alert you to any disk input/output (I/O) errors (a precursor to a drive failure), boot disk selection changes, false mounts, and more. Keeping a computer running at it’s peak performance is easy with StrongCare Monitoring. We’ll alert you to productivity-robbing issues such as failing laptop batteries, kernel panics, faulty RAM, unscheduled reboots, and even failed power-on self-tests (POST) which usually go unnoticed. No single malware detection software can find all threats. StrongCare Monitoring helps out by providing an additional layer of malware checking to your existing solution. While we’re rummaging around inside the computer looking for problems, we also report back other helpful information such as machine name, last logged in user, serial number, RAM, model number, OS & firmware versions, processors, uptime, last check-in, and more.